1) Grind the biscuits to small granules (do the same for cashews). 2) Heat the chocolate at low heat in a pan until completely melted. 3) Allow to cool for 5 minutes (still as liquid form). 4) Add the biscuit/cashews to the chocolate and mix thoroughly. 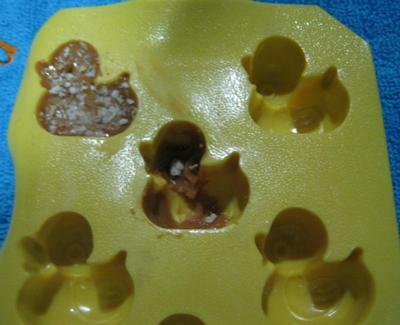 5) Pour into molds and allow to set in the fridge for 3-5 hours, (depending on the volume of mold). In 5 easy steps, we have a treat that can't be expressed any other way. You can wrap them up in tinfoil, place in small muffin cases or simply scoop them out of the mold. This recipe is a classic HIT with kids!